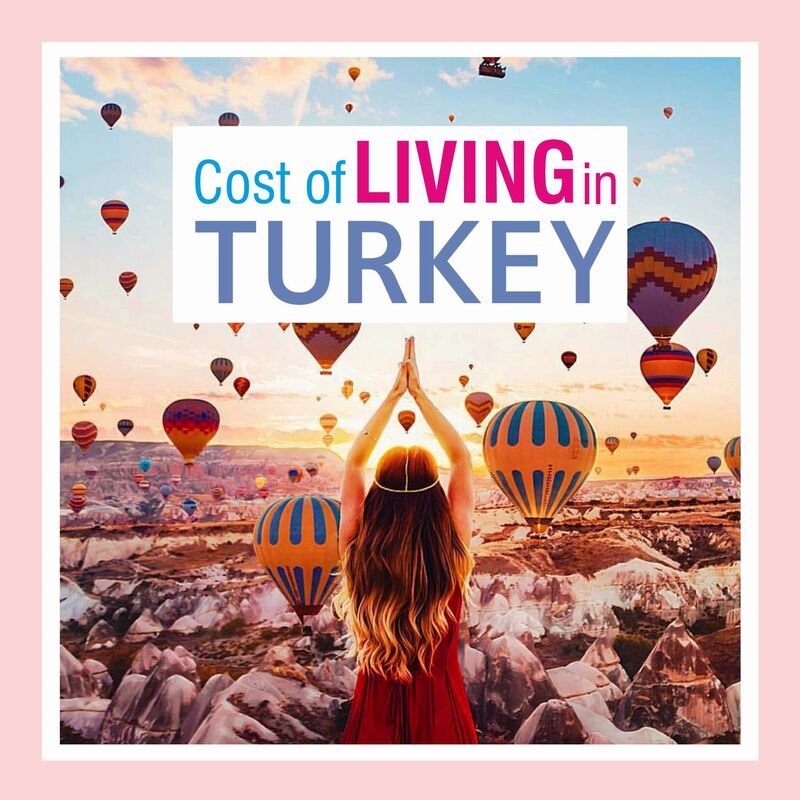 Undoubtedly, the cost of living in Turkey is a driving factor that helps expats decide whether they should move here permanently. The age-old saying that money makes the world go around is definitely true when it comes to our lifestyle choices, but Turkey can be a surprisingly cheap place to live. Before we start looking at average costs though, there are some factors to bear in mind. What is The Minimum Wage in Turkey? The minimum wage is 2020 lira a month with the employer paying all healthcare and retirement stamps known as SGK. A single person with rent to pay would have an extremely basic lifestyle for this amount. As with anywhere else in the world, living in a city incurs higher costs. In Turkey, the most expensive place to live in Istanbul, a busy hub of business, finance, tourism and economics. As well as higher rents, general day to day costs like transport, food shopping and nightlife are more costly. A family that does not have to pay rent or a mortgage can have a good lifestyle for roughly 5.000 lira a month. However, on the Aegean and Mediterranean coasts, the cost of living drops dramatically. Compared with popular expat destinations like Fethiye, it is roughly 20% more expensive to live in Istanbul. An expat couple who own property in Fethiye can enjoy a middle-class lifestyle for an average of 3.000 lira a month. At present, many expats who receive a pension from their home country are enjoying a luxurious lifestyle thanks to an excellent exchange rate between the Turkish lira and other currencies like the pound, euro and American dollar. If you receive a pension or monthly income in a foreign currency and are deciding whether you can afford to live in Turkey, remember to factor in fluctuating exchange rates. Many expats also put their capital into high-interest savings accounts and live off the interest that they withdraw monthly. Starting between 8 to 10%, for anyone with sizeable assets, this is an advantageous way to fund living costs. So, let’s crunch some numbers to find out what’s expensive and what’s cheap in Turkey. Over the last five years, Turkey has placed higher taxes on alcohol and tobacco which can put a sizeable dent in your budget. Anyone smoking one packet of cigarettes a day and drinking one glass of alcohol will pay an average of 600 to 900 lira a month depending on the brand. Although the cost of petrol is not as high as European countries like Greece or Portugal, it is still double that of the USA and Russia. For this reason, many Turks drive diesel cars which incur lower costs. Car owners should also set aside roughly 4000 lira year for expenses like MOT, insurance and repairs. You need a residency permit to stay in Turkey longer than 90 days and if you are under 65, will also need compulsory health care. A couple buying a year-long residency permit and opting into the state-run SGK scheme for foreigners should factor in roughly 7000 lira a year. This is where the cost of living in Turkey looks bright because running a household is exceptionally cheap. You don’t have to buy a television license, and in specific areas away from Istanbul and big cities, rent can be as low as 700 lira a month. Electric: 150 lira a month but this can be drastically reduced by limiting air conditioning usage. Communal Maintenance: 100 to 500 lira a month depending on facilities offered. Council Tax: 200 lira a year depending on title deeds holders and price band of your property. Insurance: Deprem insurance in Turkey is compulsory. Ranging from 150 to 250 lira, the cost depends on where you buy property and the size of it. Fire, theft and damage cover is optional, and costs vary from supplier to supplier. Telephone, Internet and Satellite TV: There is a price war between Turkey’s telecommunications and entertainment companies, which means there are some terrific deals up for grabs. For example, Turk Telekom is offering unlimited internet, telephone calls and TV satellite packages showing English and Turkish channels all for just 73 lira a month. Further Reading: If you haven’t already purchased property in Turkey, this article about the costs and additional expenses will help you. Alternatively, if you have any questions about living in Turkey, contact our sale representatives, who will be glad to help.